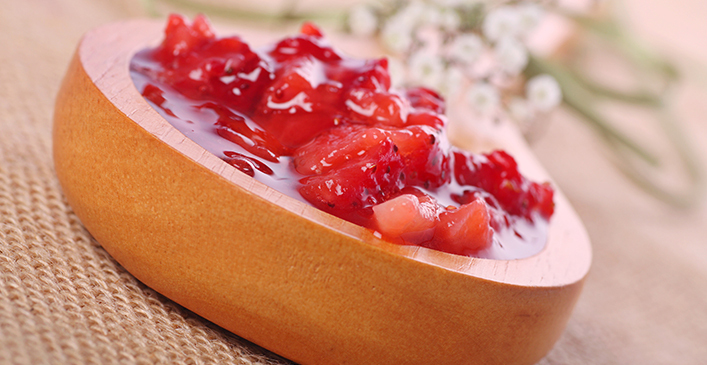 Used in toners and cleansers, strawberries improve complexion and rejuvenate the skin. Strawberries are high in vitamin C and salicylic acid, which will brighten and tighten skin. Because of a high amount of folic acid, mashing strawberries into a paste and applying it to your hair will strengthen hair follicles and increase shine. Strawberries can also eliminate dandruff when combined with other berries or an astringent like tea tree oil.